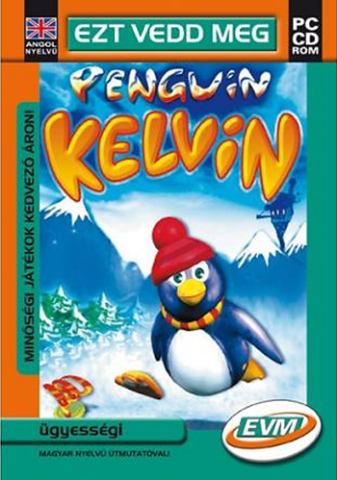 Pingwinek Kelvin (known in English as Penguin Kelvin or Kelvin the Penguin) is a 3D platformer game developed by Tate Multimedia and published by Play Publishing. The game is a spin-off to Tate's Kao the Kangaroo series and was given a limited release in Poland on March 20th, 2003, followed by limited releases across the Netherlands, Hungary, Russia, and Germany. The evil Dr. Heater (named Dr. Grzalka in the Polish version) has created a piano that sends heaters around the south pole to melt the ice caps. Kelvin slides in to save the day, traversing 6 levels combating Heater's henchmen and eventually the mad scientist himself. 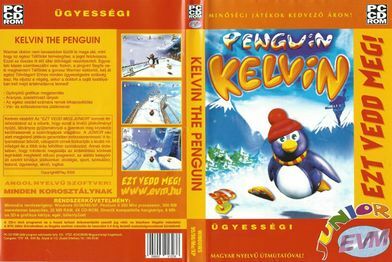 Due to Play Publishing's nature of mostly publishing small games with limited budgets, often bundled with small magazines, the game was never released outside of Europe with the only confirmed English release being in Hungary, nor was the game ever re-released due to Tate Multimedia's distain for the title, wishing to forget about it. The English version remained lost until October 4th, 2018, when a YouTube user named Neon Glare uploaded the game in its entirety to his channel. 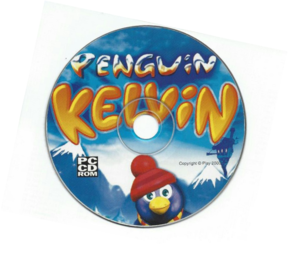 The original upload of Penguin Kelvin (on Google Drive). An installer wrapper and a download for the game (Note: install this first then run the game's setup on 64-bit computers).